I can’t describe how excited I was to make contact with John Rooney from north of the border who has acquired this stunning and impossibly original Sunbeam Model 90. 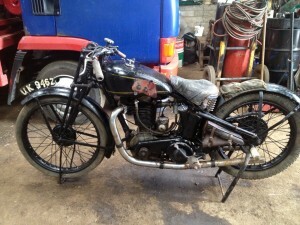 The bike was originally registered to the Marston factory before being sold on two years later. 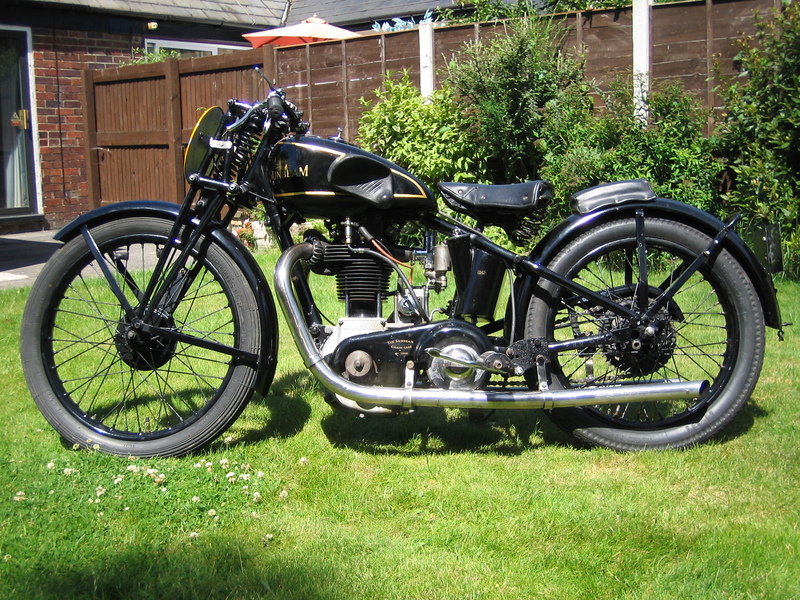 It has webb-type forks fitted rather than druids which would suggest late 1930 to 1931 but it was common practice to fit the later, improved forks to earlier models. The bike has been in the same ownership for the last 50 years before John rescued it from a shed and I am delighted to say that he plans to get it going with only the minimal necessary work. New tyres might just be required but the bike has many of the original fittings and fasteners that are so difficult to find or replicate. There is currently little paperwork but of course being a UK registered Marston bike we all want to know what racing history the bike has. The engine number of the bike is only 2 digits different from my own saddle tank 90 (shown below) which has TT and MGP history, so is it possible that this bike is from the same 1930 team? 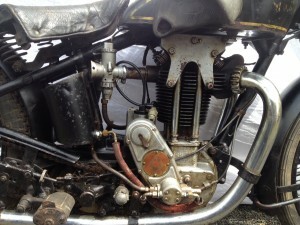 Although the frame numbers of the two bikes are further apart, the two bikes share left hand filler oil tanks, foot-change box, tulip shaped frame lugs, lack of sidecar lugs and the unusually absent gearbox drawbolt adjuster. If anyone can shed any light on the history of John’s bike, please get in touch and let us know. 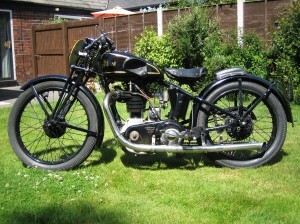 This entry was posted in Bikes and tagged Model 90, Sunbeam by Dodson. Bookmark the permalink.